When I say ‘pill’ I’m referring to the idea of a prescription but could just as easily work as “something disagreeable that must be swallowed”. 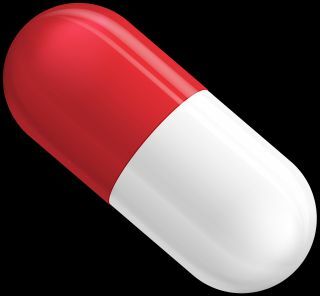 Do we treat church like a pill? Many folks take pills to treat some illness, and in most cases, they seek the pill rather than change the underlying behavior that caused the condition. Take diet pills as an example. For many, rather than reduce their calorie intake, increase their exercise and eat better quality food they will take a pill as if it will solve their condition. That’s what I mean when I ask, “do we treat church like a pill?” Do we believe we can act ungodly all week long, and if we take a pill (church attendance), that our sinful condition will go away? Please understand what I am saying. The weekly assembly of God’s people is a necessity for continuing in the Apostles doctrine and shouldn’t be forsaken [Heb 10:25; Acts 20:7; 1Cor 16:2], but it is not a ‘pill’ one takes to offset our bad behavior and sinful heart. Here’s a question for you, how long after assembling with the saints before you revert to your sinful conduct. 24 hours or 24 seconds? I must confess that I’ve been guilty of this as well. For my family, we had screaming car fights before arriving to the assembly, acting all lovey dovey during the worship, then picking up where we left off with the battle as soon as we got back into the car. When you’re given a prescription from a doc, he also gives you a list of things to change. The weekly assembly can be viewed in much the same way. The lesson, prayers, songs, our giving and the Lord’s Supper all have an ability to teach us and remind us what manner of person we ought to be. Church attendance should remind us of the sacrificial gift of Christ, and the promise of His return when He will gather up the saints and destroy the world. LAST WEEK, we began the discussion on the 2 responses to every sermon, WALKING OUT or WALKING FORWARD. We noted that these can be literal actions where a person really walks out of the building or comes to the front to confess sin, or it could be done mentally. We walk out on a sermon for a few reasons. We may be TIRED, we think it’s about SOMEONE ELSE or we just DISAGREE. Regardless the reason, we “check out” mentally or physically. It’s common for folks, when pricked in the heart by God’s message, to leave their pew and proceed to the front of the auditorium to confess the sin in their lives in a public way. This is good, it’s an accountability measure, especially for sin committed publicly. It’s not only good, it’s Godly for it is a confession of sin along with a vow of repentance. The Jews on Pentecost, upon hearing how they had been party to the crucifixion of Jesus the Christ, the text says; “they were pricked in their heart, and said unto Peter and to the rest of the apostles, Men and brethren, what shall we do?” [Acts 2:37] These folks recognized their sin, recognized their need for forgiveness and made an immediate, public response. Did you catch it? “Godly sorrow” produces repentance and this repentance leads to SALVATION! Did you also see the other kind of sorrow, “sorrow of the world?” To fully appreciate what the Holy Spirit wants us to hear, let’s break this verse down. but the sorrow of the world – selfish REASONS that are carnal, and fleshly which elevates the concern for self over the concerns of God. [1Corinthians 3:1-4] For some, the only reason to change is a concern for how others perceive them. This is the wrong kind of sorrow. This is why some are ‘rebaptized.’ They recognized that the only reason they originally submitted to God’s will was to be pleasing to mom & dad or because that is what everyone else was doing. Folks, this kind of obedience to God will fail us in the judgment. Are we sad when we sin against God? Does our heart break when we fail Him? If it does, it will lead us to find out how to have eternal life. As it relates to religion, a conservative is one who wants to hold fast to the word of God. “If any man speak, let him speak as the oracles of God” [1Pe 4:11], means that we do not go beyond the text of the scriptures. We’re told to “Prove all things; hold fast that which is good” [1Thess 5:21], and “not to think beyond what is written” [1Cor 4:6]. [cr. 2Peter 1:19-21; John 12:48; 2Thess 2:15]. This is what the Christians here at Franklin & Juniper church of Christ in Borger Texas want to do, hold fast to the Word of God. A liberal, therefore, is the one who believes that we have freedom to move from tradition and authority, and have the ability to adjust religious beliefs and practices for the culture. They believe that strict adherance to the word of God is legalistic and unloving. Many folks will apply labels of “liberal” or “conservative” but those terms mean different things according to where you’re standing at the time. As for me, I start with the undefiled Word of God [John 12:48] and want to CONSERVE that purity in my life and the church. “Every word of God is pure: he is a shield unto them that put their trust in him” [Pr 30:5 (cr. Psalm 119)]. Have you ever wondered why folks with strong conservative values allow error to creep in and pledge support for these errors? How do the “grievous wolves” that Paul spoke about, appear and how do they lead astray so many, even causing division in the church? Paul warned the Ephesian elders; “For I know this, that after my departure savage wolves will come in among you, not sparing the flock. Also from among yourselves men will rise up, speaking perverse things, to draw away the disciples after themselves” [Ac 20:29-30]. He also warned that Satan himself would appear as an “angel of light” and his ministers would appear as “ministers of righteousness” [2Cor 11:14-15]. I’ve noticed 3 arguments that are most often used in support of error. They are EMOTIONALIZE, DEMONIZE & CRITICIZE. Remember also, that change agents appear as “angels of light” [2Cor 11:14]. Let’s examine how this works, not with hate toward others, rather as a warning to all of us as we strive to do God’s will. EMOTIONALIZE: “It’s for the children” is the most oft used emotional argument to promote error. The users of these arguments seldom use scripture and when they do they “wrest the scriptures” [2Pe 3:16]. We saw it when denominations pushed for infant baptism. Truth teaches that babies are safe in the Lord [2Sam 12:23; Mat 19:13-14]. This argument continues to be utilized to go around the clear commands of God. We have to resist the urge to break God’s word when our emotions begin to burn. “Whether it is pleasing or displeasing, we will obey the voice of the LORD our God to whom we send you, that it may be well with us when we obey the voice of the LORD our God” [Jer 42:6]. Remember, our hearts can be (and often are) deceived [2Thess 2:10-11; 2Cor 11:14; Gal 1:8-9; Gal 6:7]. CRITICIZE; the opposition for doing things that they themselves are doing. The Apostles faced this very thing. They were criticized for preaching for gain, or for being arrogant, while the critics themselves were doing the very things they spoke against. “I wrote to the church, but Diotrephes, who loves to have the preeminence among them, does not receive us. Therefore, if I come, I will call to mind his deeds which he does, prating against us with malicious words. And not content with that, he himself does not receive the brethren, and forbids those who wish to, putting them out of the church.” [3John 1:9-10 (cr 2Cor 11 & 12)]. Many errors begin due to a lack of understanding on how to determine scriptural authority (or permissions). They also come due to a misunderstanding of the true work of the church. The work of the church is found in “the Great commission”; “Go ye therefore, and teach all nations, baptizing them in the name of the Father, and of the Son, and of the Holy Ghost: Teaching them to observe all things whatsoever I have commanded you: and, lo, I am with you alway, even unto the end of the world. Amen [Mat 28:19-20]. It’s to TEACH the gospel and TEACH the new disciples to observe WHATSOEVER our Lord has commanded. Please understand, I’m not against helping children, or being benevolent to strangers. I just want to do it God’s way. “And whatever you do in word or deed, do all in the name of the Lord Jesus, giving thanks to God the Father through Him” [Col 3:17]. THE PHILISTINES are upon you, Samson!” So he awoke from his sleep, and said, “I will go out as before, at other times, and shake myself free!” But he did not know that the LORD had departed from him. That is the situation Samson found himself in after he allowed Delilah to cut his hair in Judges 16:20. David hid his sin and didn’t know until Nathan told him. And Nathan said to David, “Thou art the man” [2Sa 12:7]. David had committed sin, but as he tried to hide it is when things got so much worse, leading to lying, conspiracy, murder and ultimately giving occasion for the enemies of God to blaspheme. We can do our best to hide sin, but shall never hide them from God. I’ve heard that certain practitioners of Islam build walls in their homes facing Mecca and allah is unable to see the sin they commit if done behind that wall. The one true God doesn’t have that limitation, He sees everything! David learned this the hard way and wrote a Psalm about it, “Thou hast set our iniquities before thee, our secret sins in the light of thy countenance” [Ps 90:8]. The writer of Hebrews said, “Neither is there any creature that is not manifest in his sight: but all things are naked and opened unto the eyes of him with whom we have to do.” [Heb 4:13]. Simon the sorcerer tried to bypass authority and didn’t realize The LORD had departed until Peter told him. “But Peter said unto him, Thy money perish with thee, because thou hast thought that the gift of God may be purchased with money” [Acts 8:20]. We see this one all the time, folks thinking they can bypass the Authority of Christ [Mat 28:18]. None of us think we can buy the power of the Holy Spirit, but some do believe they can have power over the church through their contribution, dissensions or threats. This sin, sedition, is included with the list of the works of the flesh in Galatians 5:19-20. We must follow the instructions of Christ in all things, the church is not a democracy and we don’t vote on the doctrines of Christ. We decieve our friends and family in our own hypocrisy. In our attempts to “fit in” with the world, they see our double minded actions toward God. We do this so as not to lose any friends. When we act in such a duplicitous way, are we really being a friend? Annanias when he tried to outsmart God. “But Peter said, Ananias, why hath Satan filled thine heart to lie to the Holy Ghost, and to keep back part of the price of the land? [Acts 5:3 ]” It’s impossible to outsmart God, but many attempt to do it all the time. W.C. Fields, when asked why he was reading the bible said, “Loopholes, looking for loopholes!” Can you ever out smart God? Amazingly, Christians believe they can fool God. And what’s worse, they believe they can outsmart Him! Minimal attendance or removing your “membership” without going to another congregation so as to avoid withdrawal. Building a team to “out vote” the leadership. It didn’t work then and it won’t work now. Sapphira ignored her chance but didn’t take it. “And Peter answered unto her, Tell me whether ye sold the land for so much? And she said, Yea, for so much” [Ac 5:8]. At least David siezed on his opportunity to repent. Peter gave her opportunity but she had her story and was sticking to it. Learn from Sapphira and repent before it’s too late. Nadab & Abihu wouldn’t heed the instructions of the Lord. “And Nadab and Abihu, the sons of Aaron, took either of them his censer, and put fire therein, and put incense thereon, and offered strange fire before the LORD, which he commanded them not” [Lev 10:1]. The commandments are clear, and their not burdensome [1John 5:3], but we think that our way is better. We say things like, “the Bible doesn’t say we can’t.” Look again at Lev 10:1, it says, “the LORD commanded them not.” Silence is prohibitive, we have permission ONLY when we have a command. Lot’s wife didn’t know when she ignored God’s command. “And it came to pass, when they had brought them forth abroad, that he said, Escape for thy life; look not behind thee, neither stay thou in all the plain; escape to the mountain, lest thou be consumed. But his wife looked back from behind him, and she became a pillar of salt” [Ge 19:17-20]. Perhaps she had grown so used to sin that she didn’t believe God’s command. This seems to be the prevailing view among some. “Because sentence against an evil work is not executed speedily, therefore the heart of the sons of men is fully set in them to do evil.” [Ecc 8:11]. Folks, just because God is delaying punishment doesn’t mean He will never punish it. “It must be really depressing to be an evangelist, for very few people really care about the word of God.” Daniel S.
My good friend, a new convert, spoke those words to me after spending the first year after his conversion trying to spread the good news. Yes, it is depressing. Paul was depressed after sending his letter to the Corinthian church. 2Co 2:4 For out of much affliction and anguish of heart I wrote unto you with many tears; not that ye should be grieved, but that ye might know the love which I have more abundantly unto you. He was filled with anguish because he was concerned for the church at Corinth. Would they repent, would they leave, would they take others with them in their disobedience. I can only imagine. But Paul did send the letter, and something great happened. 2Co 7:7 And not by his coming only, but by the consolation wherewith he was comforted in you, when he told us your earnest desire, your mourning, your fervent mind toward me; so that I rejoiced the more. 8 For though I made you sorry with a letter, I do not repent, though I did repent: for I perceive that the same epistle hath made you sorry, though it were but for a season. 9 Now I rejoice, not that ye were made sorry, but that ye sorrowed to repentance: for ye were made sorry after a godly manner, that ye might receive damage by us in nothing. 10 For godly sorrow worketh repentance to salvation not to be repented of: but the sorrow of the world worketh death. That is why an evangelist, anyone really, needs to have their joy contained in another place other than people. For if we seek to just make other folks happy, then we’ve failed. Ga 1:10 For do I now persuade men, or God? or do I seek to please men? for if I yet pleased men, I should not be the servant of Christ. My invitation to all of you who desire to be a part of an evangelistic church, be warned. It’s sad, difficult and full of pain. But then, someone responds to the Gospel. Our children, our friends or people we meet. We rejoice, not because of what we have done, no, we rejoice with the angels in heaven for one sinner that repents. Lu 15:10 Likewise, I say unto you, there is joy in the presence of the angels of God over one sinner that repenteth. It’s on this last point that this article shall address as it relates sin, salvation and getting into heaven. Under human laws, intent plays a major role. For example, if a person was negligent in their behavior, they may or may not be prosecuted. In recent cases of accidental harm to a person involving a vehicle, intent becomes the deciding factor. God spoke about these situations and gave instructions under the Law of Moses for unintentional harm. “as when a man goes to the woods with his neighbor to cut timber, and his hand swings a stroke with the ax to cut down the tree, and the head slips from the handle and strikes his neighbor so that he dies-he shall flee to one of these cities and live; [Deuteronomy 19:5] and in some cases were required to pay restitution. Intent may be a factor, but ignorance of the law is another matter. Under our law system, Ignorantia juris non excusat (Latin for “ignorance of the law excuses not”) is a legal principle holding that a person who is unaware of a law may not escape liability for violating that law merely because he or she was unaware of its content. There are plenty of examples where a person is fined or punished having been unaware that they were committing a crime. If you doubt this, the next time you’re pulled over for speeding just tell the officer you didn’t know the speed limit. For humanity, God leaves everyone without excuse whether they’ve read the Bible or not. You see, God has made every effort to show himself to every person and it’s their willful disregard for Him that will earns His wrath. Here’s the point of what I am saying, when we face the judgement of God, saying “I didn’t know” or “I didn’t intend to sin” will not open the gates of heaven unto us. The only way that we can survive the judgement and to receive an entry into heaven is through the saving blood of Jesus the Christ. How can one be saved? Though human courts overlook ignorance, God won’t. Why delay? THE TRUTH HAS SET US FREE…FROM WHAT? The power of darkness. Because we are His disciples, having obeyed the Gospel, God has “…delivered us from the power of darkness, and hath translated us into the kingdom of his dear Son:” [Colossians 1:13] Many say that the kingdom will begin sometime later, but this scripture teach that Christians are in His kingdom now and free from the darkness of this world. WE HAVE BEEN SET FREE IF…. The Gospel is what calls us [2Thessalonians 2:14]. Leaving sin, we obey the Gospel which shall deliver us [Romans 6:17]. The gospel is about the Death, burial and resurrection of Jesus [1Corinthians 15:1-4]. When Jesus is preached [Acts 8:35], one will conclude the need to be baptized [Acts 8:36]. If you “love the Lord thy God with all thy heart, and with all thy soul, and with all thy mind.” [Matthew 22:37] then you will also do whatever he commands. THESE WORDS are in the chorus for David Bowie’s song “Changes”. 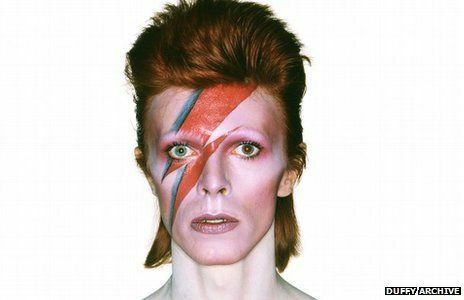 I was inspired to write this article, not so much about Bowie and his life, nor about the droves of mourning fans of a music icon, rather because of the song “CHANGES”. Oh how the times have ch-ch-ch-ch-changed. News stories abound about children being sent home, suspended or even expelled for even reading the Scriptures on their recess. A child need never actually read the Bible at school, just wearing a T-shirt can elicit the same response. Ch-ch-ch-ch-changes…. There was a time when certain words could never be spoken on TV. Words like toilet or pregnant, but today these words and worse are continually being spewed into our ears. I’ve been told that many Christians quit going to movies over the words uttered by one Clark Gable in Gone with the Wind. Ch-ch-ch-ch-changes…. There was a time that to show a married couple, fully clothed, in bed with each other was considered pornographic, but now it’s the norm. BTW, the Brady Bunch was the first TV show to break this barrier. The days without even the mention of marital “bliss” has evolved to inference, then to creative cropping of the camera lens to unambiguous scenes of amorous activities. To top it all off, there is no need for the couple to be married or even of the same gender! All of this for public consumption of even the youngest of eyes. Ch-ch-ch-ch-changes…. Back in the day, whatever day that was, an out of wedlock pregnancy was taboo, and perhaps unhealthily, the young girl was hidden from view to ward off any embarrassment it may bring to the family. Today, Hollywood Celebrities are celebrated for their promiscuity and there seems to be no discouragement for bringing a child into a single parent home. Shall we continue to describe the moral decline of our society? We could speak about the pride of men, hedonism, disrespect of authority and the like. Should we be shocked or surprised of all these ch-ch-ch-ch-changes? No. The very book that so many have now come to reject has warned us about all of these things and so much more. THERE ARE LOTS OF ALIBIS for a weak church, but very few reasons. Churches that are weak have one distinguishing trait in common. They know all the reasons they’re weak, and have what they believe to be air-tight alibis to explain away their own weaknesses. A character analyst compiled a list of the most commonly used alibis. Though this was in context of business, I’ve learned that these alibis are used in any context, even the church. IF I didn’t have a wife and family. .. IF I could meet “the right people”. . . IF my family were less extravagant. . . IF I lived in a different neighborhood. . IF I only had a business of my own. . .
We know that there is something WRONG, or we would now be where WE WOULD HAVE BEEN IF we had spent more time examining our weaknesses, and less time building alibis to cover them. The ideas in this article are not new, [Ecclesiastes 1:9 The thing that hath been, it is that which shall be; and that which is done is that which shall be done: and there is no new thing under the sun.] We use the word excuse rather than alibi, but the meanings remain the same. The writer of Ecclesiastes also wrote that time and chance happen to us all [Ec 9:11]. We could add this to the list of alibis, but I believe this proves that every person has difficulties, albeit at different times and in different areas. Rather than use this as another reason for NOT, let’s DO despite the difficulty. Revelations 2:10, “be thou faithful unto death, and I will give thee a crown of life” means that we should remain faithful, EVEN IF IT CAUSES OUR DEATH. Are we using excuses as a church, and if so, how can we turn that excuse into positive action? Just a thought. This seems to be the approach to Bible study among denominations, and I fear among some Christians. Sin has crept into the religious world disguised as “enlightenment” or “modernism”. Folks are tearing down the Bible by calling it “out dated” or “mythical”, AND THIS IS AMONG THOSE PROFESSING TO BE CHRISTIANS!! Is it any wonder that many of the major denominations no longer teach the commands of our Lord, allowing all sorts of sinful behaviors to be allowed to exist inside their churches? It should also be no surprise that they’ve changed the commands of God and are now teaching for doctrine the commands of men by allowing women preachers, organizations that deprecate the work of the church and many other innovations. Calling these changes “fitting in to the times” or “expedients” to reach out to the world. We all know, and are on the watch, for those outside of the body to attack the validity of the Bible, but we need to be on watch for those who are INSIDE the body doing the same. Paul warned us that wolves would enter the church…..
Where did Paul come up with this? From Jesus the Christ our Lord Himself. He warned us, even before the church began, that there would be those among us that would attempt to destroy us. Please brethren, understand that I am not pointing my finger at any of you in particular. Nor am I suggesting that this is going on here. I simply write this as a warning for us as I witness what is happening among the denominations. It’s for this reason that we are involved in a study on “How to determine Scriptural Authority”. And that is the answer to this problem. We must study our Bible. A diligent study of our Bibles is essential for us get to heaven. Let us read the next few verses…. 16 But shun profane and vain babblings: for they will increase unto more ungodliness. 17 And their word will eat as doth a canker: of whom is Hymenaeus and Philetus; 18 Who concerning the truth have erred, saying that the resurrection is past already; and overthrow the faith of some. Did you see it? Without study we are susceptible to error, which increases ungodliness and potentially overthrows our faith. Losing your faith, your salvation, can occur by letting someone lead you away from the truth. If anyone tells you that you can never lose your salvation, that person is one of those wolves. Let us shun (take no part) in profane (wrong) and vain (foolish) babblings (fruitless discussions). We must be diligent to present ourselves approved to God. I didn’t bring this up, He did.